I recently came across a product by bedgear that is “performance bedding” based on your personal sleep preferences and utilizes innovative technology to help you get the best sleep possible! As most of you all know it is vital to get a good night sleep. With my limited free time, allergies and my history of back surgery for scoliosis, I sometimes find it hard to get a good night sleep. I was excited when I found bedgear! In the past I have tried down bedding but then come to find out I was allergic to the feathers. After sleeping I was always waking up congested. I thought I would try synthetic types of fabrics that mimicked down but I couldn’t find one that was comfortable to no avail. Along with my bed being always hot and uncomfortable, I also sometimes woke up stiff and sore for no apparent reason. After reading about bedgear I realized I was sleeping with the wrong bedding. Let’s look at the history of bedgear, founded by Eugene Alletto after his son with allergies couldn’t get a good night’s sleep because of his bedding. Experts suggested covering the individual parts of his bed with vinyl. You can guess how hot that was for the boy. Who wants to sleep on a hot plastic mattress and pillow? Experts at Bedgear say it best, “we have mastered advanced textile fabrication techniques to engineer top-of-the-line sleep essentials that deliver the clean, cool, fresh environment your body needs to regenerate and recover while you sleep.” Bedgear produces products to fit your sleep position and body frame, while redefining the way people look at sleep. 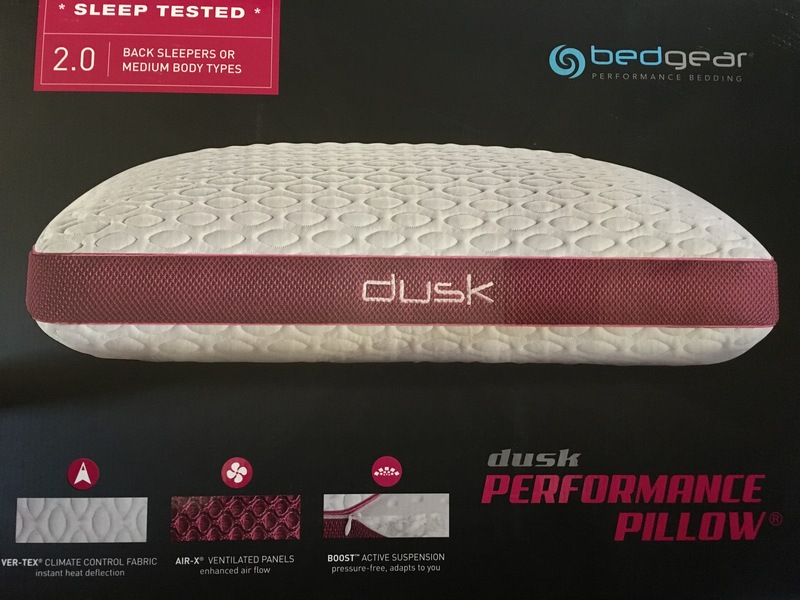 On their website, after entering my personal date in their “find your personal performance pillow ID” which included my sleep position and body type, I was matched with the “dusk” pillow for back sleepers. It didn’t take me long to receive it. I have been in love with this pillow ever since it came!!!! I not only sleep better but I wake up not sore and am refreshed. Bedgear has other products besides pillows. They have a line of sheets, blankets and back rests. I find I am performing better during the day after sleeping with my bedgear pillow. I hope to get more of their products soon. Like their motto says, “sleep fuels everything”! Hope you check them out and order soon! http://www.bedgear.com Subscribe on their website to receive 10% off your order.